Many poems, songs, books, and movies have been written about true love. Jesus defines it. On the eve of his own torture and death, knowing that of the twelve men in the room with him, one will betray him, one will deny him, and they all will desert him, Jesus stoops and does the work of a slave by washing their feet, as described in the subsequent verses. He loves them to the end. He shows them the full extent of love. We had better pay attention if we want to know what love is! As John tells his Spirit-inspired story of Jesus, he doesn't leave it to our sense of discernment to pick up on the message. 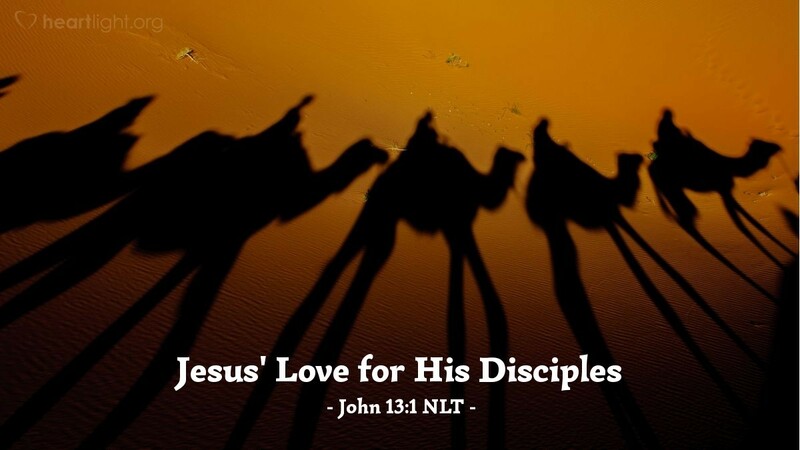 If we want to know about true love, we should watch and listen to Jesus in verses that follow in John 13 because these verses have a very significant demonstration of Jesus' love. Holy God, I recognize that love is your very nature. I believe that your relationship with me is built on your great love for me and your desire to demonstrate that love to me. I confess, dear Father, that I am still learning to love as I should. So teach me to love as Jesus loves. Teach me to redeem others through my love. Free me from my inhibitions and selfishness that block me from loving others as Jesus did. In Jesus' name, I pray. Amen.